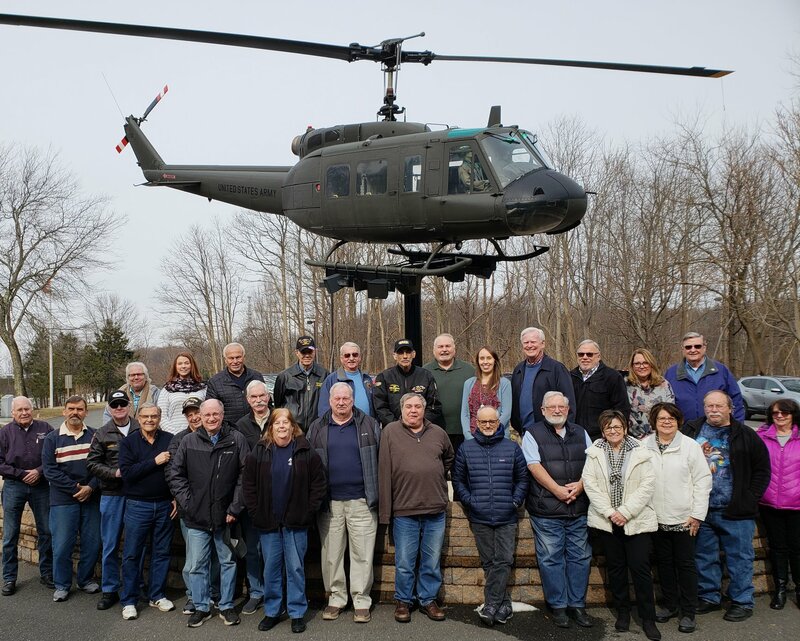 The New Jersey Vietnam Veterans’ Memorial Foundation has an amazing group of volunteers who help make our programs and day to day activities possible. They are our true Foundation and we are grateful for each and every one of them. Our volunteers help out in many areas ranging from holding leadership roles on our Board of Trustees to assisting with mailings to giving tours to the thousands of school children who visit each year. We are very proud of our Vietnam Veterans who provide tours all year long in all types of weather conditions. While our Vietnam Veteran Tour Guides are vital to our success, there are others just as responsible for our achievements, working behind the scenes or helping out at our front desk. They assist with the research and record keeping, updating files and are essential when it comes to a wide variety of mailings and outreach. While these volunteers may not be visible as our Vietnam Veterans their contributions are no less important to our continued success. If you are thinking of going on a tour with a Vietnam Veteran tour guide or already went on one, this is a great way to learn more about their stories. We are always looking for friendly people who are interested in greeting Museum guests. Tasks include taking admissions, ringing up gift shop sales, and answering questions. Volunteers must be comfortable interacting with Museum guests and have the ability to use a simple cash register (we will train you!). You should also enjoy speaking with visitors and responding to inquiries as our community is very friendly and many love to chat. Volunteers for this position are needed during our regular operating hours: Tuesday – Friday, from 10 AM – 4 PM. You can choose which days you would like to work and what hours are best for you. You do not need to commit to a whole day, we generally have two shifts – 10 AM – 1 PM and 1PM – 4 PM. We are always looking for substitutes for our regularly scheduled Front Desk volunteers. Vietnam Veterans play an integral role in educating students. Volunteer tour guides lead all of our school and group tours. All of the factual information provided to the students during their visit is enhanced by these personal stories, photographs and artifacts. When asked what they remember most about their tour, 99% of visitors say it was the Vietnam Veteran who took the time to share his/her story and how they now understand the personal side of the Vietnam War. We are always in need of “behind the scenes” help with mailings, event set-up and research work among many other things.